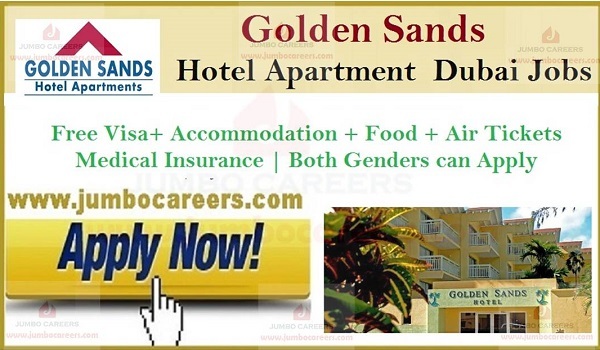 5 Star Luxury hotel apartments in Dubai Golden Sands Apartment hotel conducting latest walk in interview for hiring experienced staff for various departments. Its a direct hotel recruitment and candidates with 2 years UAE similar experience can attend the interview. Location : Golden Sands Hotel Apartment 3, Al Mankhool Road, Behind Burjuman Shopping Centre, Nearest Metro Station is Al Fahidi Metro Station, Bur Dubai, Dubai.